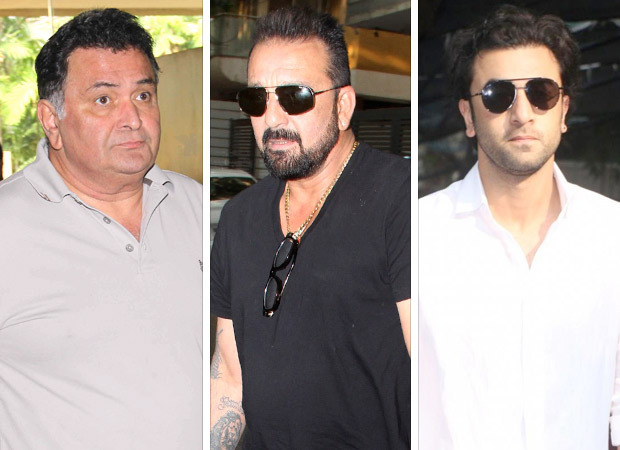 HomeCinemaMasalaSanju: Rishi Kapoor calls and Abuses Sanjay Dutt regularly, courtesy Ranbir Kapoor; find out why! Ranbir Kapoor is coming up with a biopic on Sanjay Dutt this month and it would be an understatement to say that there is huge hype around the movie. Since its teaser and trailer launch, public interest has piqued to see him in the garb of Bollywood’s original bad boy. Ranbir’s fan base sure is excited for his movie but more than that, Dutt’s stranger than fiction life has got people interested. Ranbir Kapoor spoke to Bollywood Hungama exclusively and spoke about the way he brought Sanju’s rockstar like character to life for Rajkumar Hirani’s directorial. He said that before he read the script of Sanju, he knew Dutt as a family friend and had made him some kind of role model, because even as a kid he was impressed with his larger-than-life personality. But it was a different challenge altogether to translate all of these nuances professionally on screen. Sanju will release on June 29. Along with Ranbir Kapoor, it stars Sonam Kapoor, Anushka Sharma, Paresh Rawal, Vicky Kaushal and Manisha Koirala in important roles.